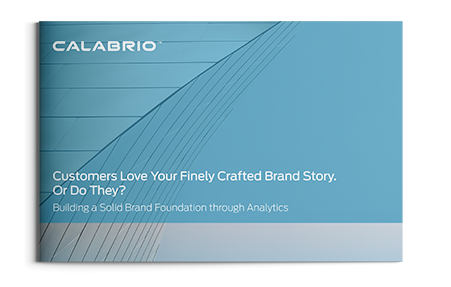 Customers Love Your Finely Crafted Brand Story—Or Do they? It allows you to make an emotional connection with your customer and helps you stand out above the competition. But are you looking in the right places to fine-tune your brand story? There’s a new focus on using the contact center to interpret and disperse customer touchpoint data to the rest of the business. These real-time customers interactions can reveal more about your brand and how you fit into customers’ lives than VoC surveys or market research. Download your copy now to learn how the data gathered every day in your contact center can help you optimize your branding strategy and create brand advocates.